Numerous people protested against the SOPA bill which was supposed to be included in the American parliament. After the bill was dissolved, Europe introduced a similar bill, the Anti-Counterfeiting Trade Agreement, also known as ACTA. People protested against it as well. In Poland, the politicians wore masks depicting the main character from the movie V from Vendetta, same mask which is the main logo of the hacking group called Anonymous. Wikipedia went dark on January 18, as a protest against the SOPA bill. Google offered an online petition against the bill, which was signed by more than seven million people in that day. Because of the constant criticism, the U.S Congress backed down. The European activists hope that their protests will lead to a similar decision with ACTA. The opponents of the bill believe that it will eliminate the online freedom. 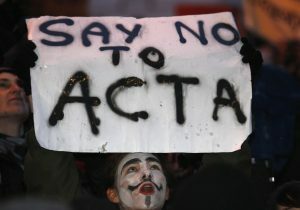 More than 1.5 million people have signed a petition against it, and thousands of people have gathered on the streets in order to protest against ACTA. 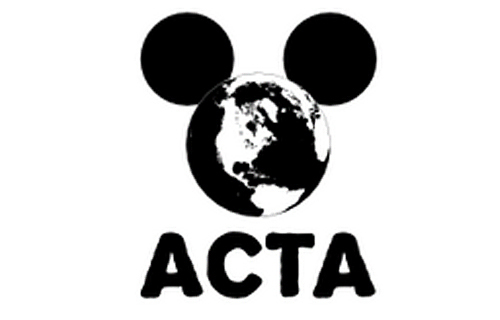 There were more than three years of talks regarding ACTA, which weren’t made public. In October 2011, Australia, Canada, Morocco, New Zealand, South Korea, and the United States of America signed on to ACTA. On January 26, 2012, 22 of the 27 countries from the European Union signed it, and that is when the protests started to pile up. On the same day, Kader Arif, a French Socialist member of the European Parliament, and the body’s special rapporteur for ACTA, resigned from his position stating that the bill is nothing but a masquerade. The governments of the countries who signed the treaty have been put under lots of pressure. For example, in Slovenia, Helena Drnovsek-Zorko, the one who signed the treaty, now urges people to fight against it. She now believes that the treaty violates the human freedom, and that it is a mistake. It is very interesting that Russia and China, the countries with the highest level of online piracy in the world, did not sign it. The ones, who support the treaty, hope that the two countries will do so. Mr. Arif stated that ACTA was wrong, and that the way in which it was conceived was wrong as well. He stated that the treaty was started in 2007, and when it was presented in the final form, it could not be modified. In some countries, the laptop computers and the digital music players could be searched in the airports, as they might contain illegal files. According to the ones who support ACTA, it is justifiable, as the owners of intellectual property are losing billions of dollars each year because of the online piracy.